Schools are helped by the fact that often a significant proportion of pupils will already have used K'NEX or Kid K'NEX at home, and will be able to help other pupils who are new to K'NEX to get started. 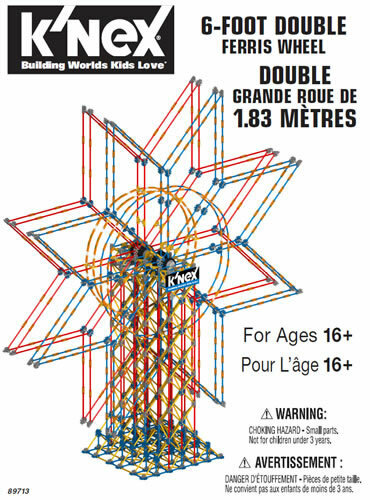 Kid K'NEX has much larger pieces than the traditional K'NEX, and is therefore better suited to children aged 3 and 4. Many schools also use Kid K'NEX in Infant Schools with children aged 5 to 6. 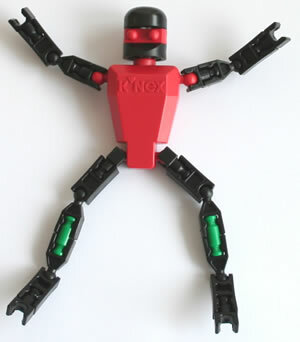 You can read all about Kid K'NEX on our About K'NEX page. Our K'NEX shop sells all the Kid K'NEX education sets currently available. These sets are larger and better value than the Kid K'NEX sets you can buy in the shops. The shop also sells a CDROM entitled "101 Kid K'NEX Instruction cards on CDROM". You may find the CDROM useful if you already use Kid K'NEX, and need more instruction cards for your children to build from. A selection of models from the CDROM may be viewed on the Models to build page. The User Group is also pleased to offer a free guide on our Free Downloads page entitled "Using Kid K'NEX with 3-7 year olds". K'NEX is widely used with children aged 5 to 11 in primary schools, where it is mainly used in the curriculum areas shown in the Curriculum pages. K'NEX is also very popular for cross-curricular projects, for instance combining D&T with history, or forces investigations with IT. The versatility of K'NEX means that the same equipment can be used successfully by all six year groups in Key stages 1 and 2. There may however be some overlap at Key Stage 1, where some schools also use Kid K'NEX (see above). Our K'NEX shop provides details of the many K'NEX education sets that are designed for primary schools. These sets are much larger and better value than the K'NEX sets you can buy in the shops. The sets include general-purpose sets (such as the "Discovery Building" Set) and Curriculum sets (such as the "Introduction to Simple Machines" sets). ♦ "Using K'NEX with Primary Schools"
♦ We would suggest you put your pupils in groups of 2, 3 or 4 to use K'NEX. This will help them to develop teamwork skills and communication skills whilst they are completing their K'NEX projects. 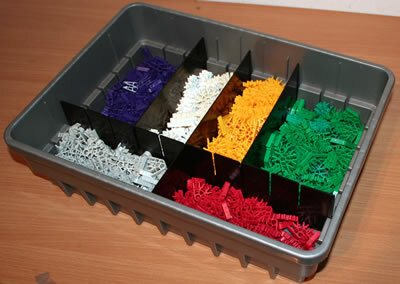 ♦ It will help greatly if you store your K'NEX or Kid K'NEX carefully arranged in compartmented trays, rather than all mixed up in a big box. Many of the K'NEX Education sets now come with trays. ♦ If you can afford it, we suggest you buy enough K'NEX or Kid K'NEX for whole class use at one time. ♦ We recommend that primary school teachers consider purchasing one or more of the K'NEX UK Curriculum Guides available . You can view extracts from these guides on the Free downloads page. ♦ Once you and your pupils have built some or all of the models in the instruction book you received with your K'NEX set, and in any curriculum guide you have purchased, you may like to consider building some of the simple K'NEX models found on the Models to build page of this website. ♦ Once you and your pupils have gained full familiarity with K'NEX model-building techniques, we suggest you then move on to using K'NEX challenges. This will help you to use K'NEX to help develop your pupils' innovation skills and problem-solving skills. ♦ You may find that some of your pupils become better at using K'NEX than you are yourself, in a similar way that schools often have computer whizz-kids that are ahead of their teachers. Do not worry about this! We suggest you put your star pupils to work helping out those pupils who are taking longer to master the K'NEX building skills. We hope the above comments are of some assistance. Please let us have your own ideas on how best to use K'NEX in schools - sharing good practice is one of our aims. You can download a typical K'NEX lesson plan from a UK curriculum guide on the Free downloads page.